These CHROME vent window assemblies are not like other wing windows on the market. They are built exclusively for Tom's Bronco Parts. 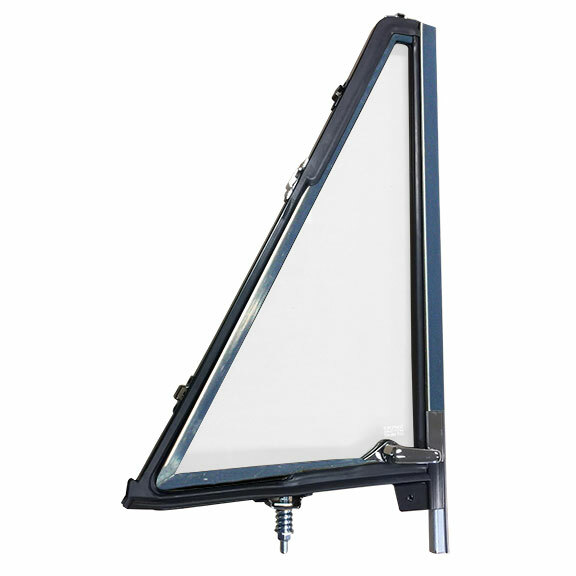 Unlike other vent window assemblies for the early Bronco, our vent windows include a high quality rear vent window felt runner. The felt runner on other vendors' vent windows are riveted into the frame which means you will have to disassemble the vent window to replace the felt. With our vent windows, the felt runner is adhered to the rear inner channel of the vent window so that it is replaceable without requiring the vent window to be disassembled. Our felt runner is also much higher quality than those on other new wing windows and will last much longer. NOTE: If you have a 66-67 Ford Bronco, this Vent Window Assembly will fit into your Bronco. The only major difference is that the vent window handle on the 66-67 style is different than the handle assembly in a 68-77. Currently there are no 66-67 Vent Window Assemblies on the market, so this is the best option.